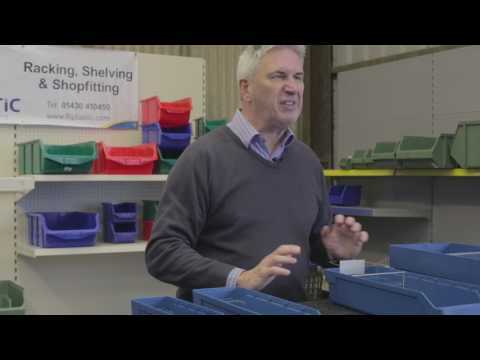 The Shelf Bin range provides a cost-effective storage solution for commercial and industrial environments. The open front design provides easy viewing of the contents inside whilst the large carry handles on either end make transporting easier and more efficient. This ergonomic bin range comes with a reinforced base with edge for use on vertical carousels and is made from high-impact polypropylene making this a durable unit that is designed to withstand temperatures from -20° to +80°C. Transparent dividers (sold separately) can be added to create different compartments if required. These bins will not stack as they are for use on shelving only. Other colours (red, black, green and yellow) are available to order in carton quantities. Please contact us on 01430 410 450 or email sales@filplastic.com.